James Adams has come a long way since his first days as a CHERUB agent, he is now a mission controller and handling a team of boys sent out to look into a potential new recruit. That mission turns out to be a bust but in the process a larger mission is uncovered. Now he has to assemble a team of ex agents to rescue two kidnapping victims. Things have changed though, not least being James’s office lifestyle is far removed from the brutal physical regime the young agents are put through. Intense training aside the old team is back together, it is going to be one heck of a ride. This story does a good job of blending both the old and new guard and in no way will disappoint fans of the series, in fact many may enjoy the chance to catch up with some old favourites. The banter and action are still there. The brashness of the teenagers shines out from the page to the point where they can just frustrate you like any teenager can, this adds to the reality and relatability of the characters. The world they tend to live in is gritty and dirty, the action fast when it needs to be. The scenes between the old and new guard are fun, giving the story a welcome lightness. This was an enjoyable read. Kizmet and Gretchen are assisting Kizmet’s father Detective Spencer with another case. This time they are in Hugelstein and the job at hand is to protect a couple of priceless Stradivarius violins. 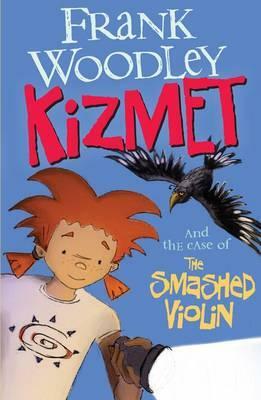 Something disastrous happens and one of the violins is destroyed. The more they pursue the case, the more complicated things seem and the more dangerous the case becomes. I have to admit that this series is quite a lot of fun. Silly moments, with the parental figure being somewhat of the bumbling detective and Kizmet being the brains of the operation. 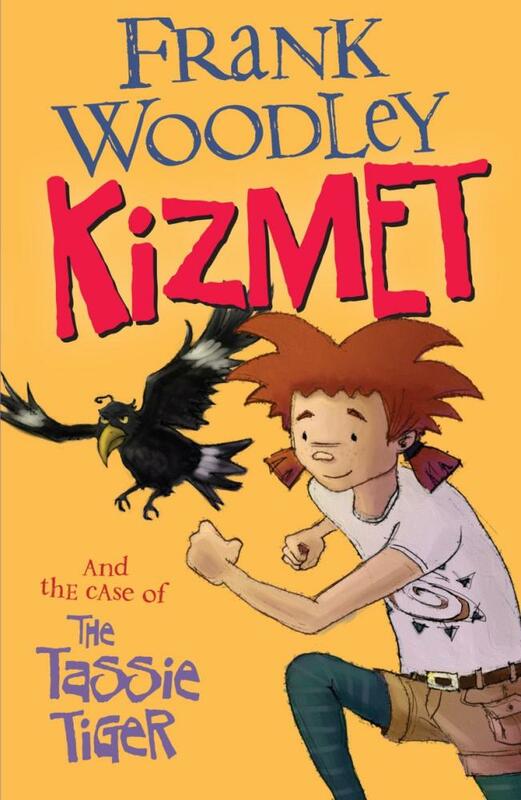 Kizmet follows the train of evidence with skill and learns a new trick along the way. Woodley has put together interesting stories and a strong character in Kizmet and used his experience in comedy to good effect. Remains on the recommended list. Livestock are being attacked by a strange creature in the Tasmanian bush. Sightings are claiming it is the, supposedly extinct, Tasmanian tiger. Kizmet, Gretchen and Detective Spencer are called to investigate. This is a fun little story, part of a new series written by comedian Frank Woodley. Kizmet is the daughter of Detective Spencer, a somewhat bumbling investigator from IMPACT – International Mysteries Puzzles and Crime Taskforce. She is the brains of the operation and is ably assisted by her pet currawong. The story itself moves at a good pace and is entertaining, written with a tone of humour.